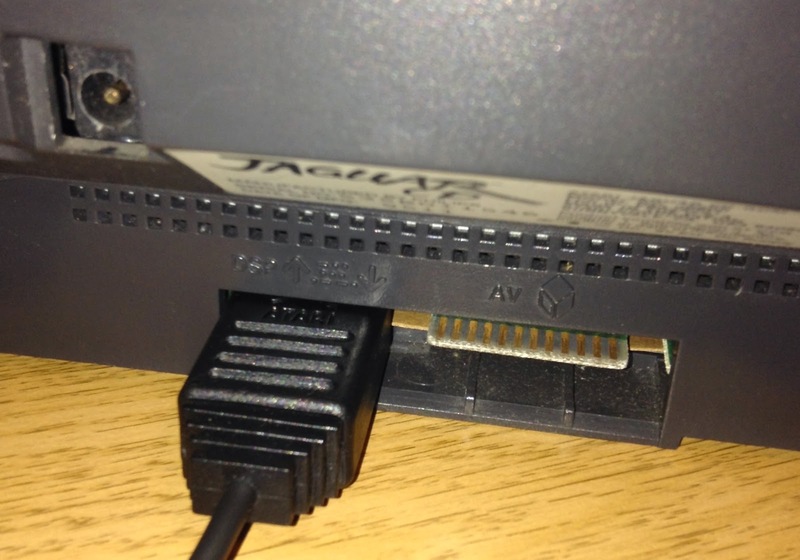 Most retro consoles have the ability to be linked together for multiplayer purposes, and the Jaguar is no different. If you look on the back of the Jag, you'll notice that there are two exposed circuit board connectors. 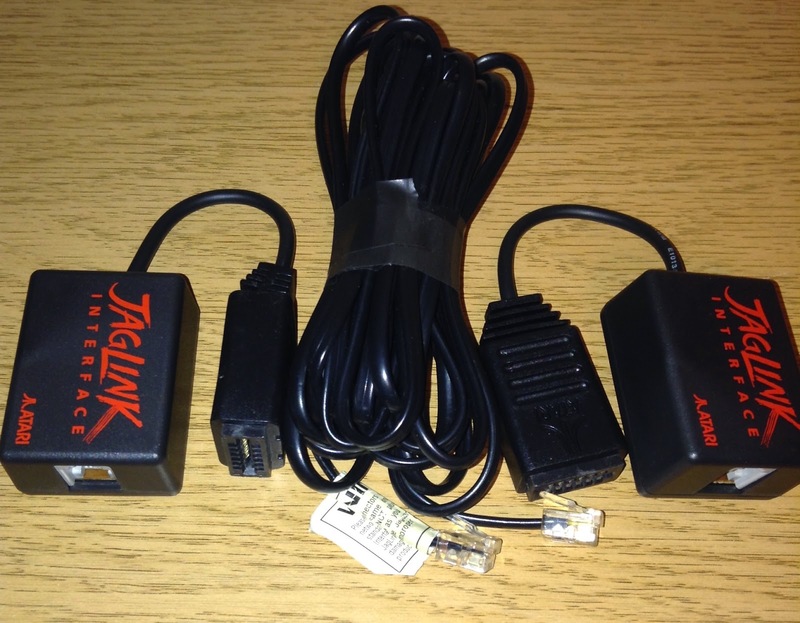 The longer of the two is used by the Jaguar SCART or S-Video connectors, and the other one is - surprise - used by the JagLink system networking device. 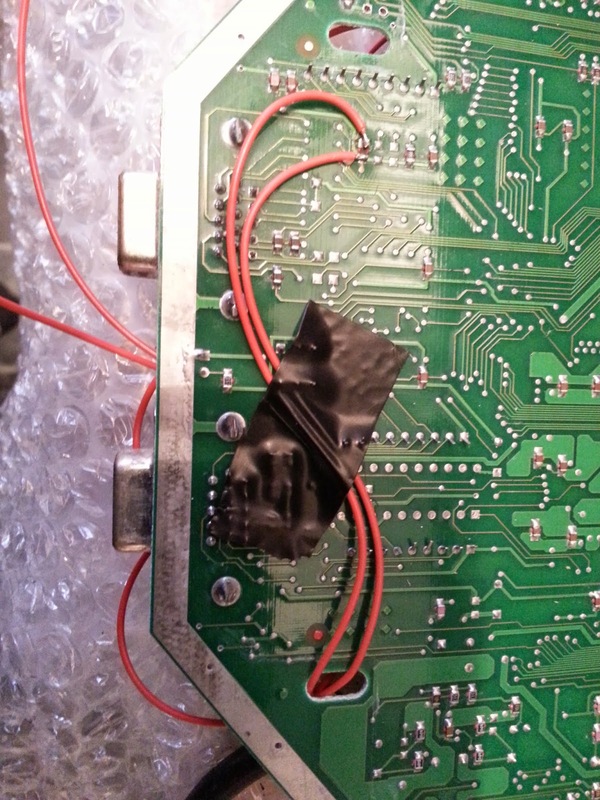 I'm going to go out on a limb here are say that there are probably very few Jaguar consoles out there that have ever had anything slotted onto that narrower connector, simply because the JagLink is a pretty uncommon peripheral and only three games actually use it: Doom, Battlesphere and Aircars. 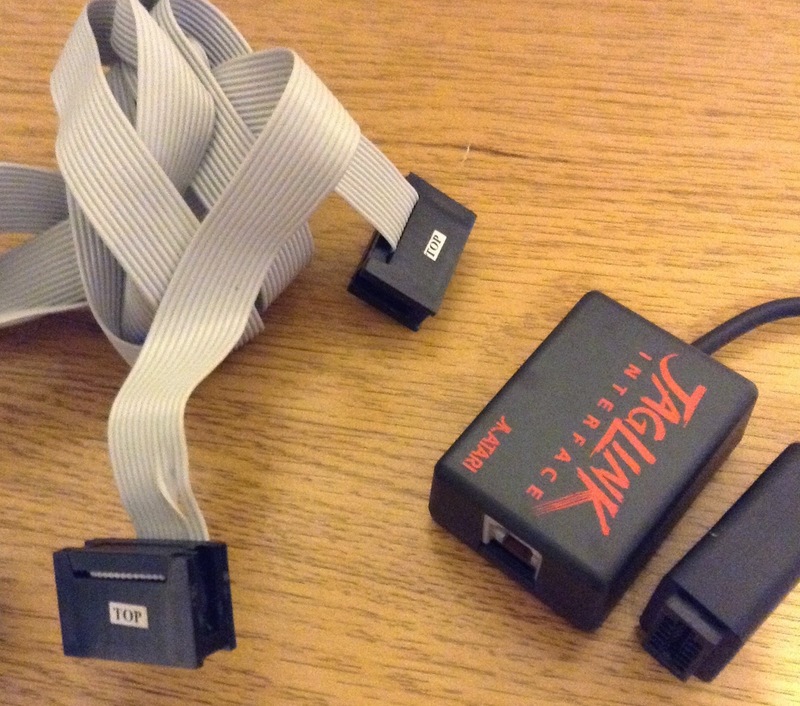 As you'd expect, in order to fully make use of the JagLink, you need two Jaguars, two TVs, a willing friend and two copies of whichever game it is you want to play. 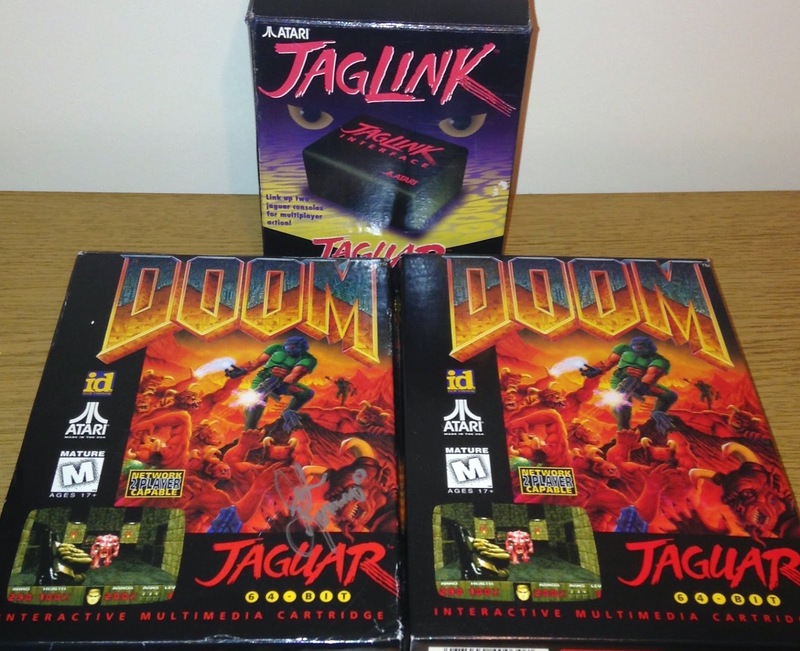 I had pretty much everything on that tick list, apart from the second copy of Doom...but when I bought my JagLink from an eBay seller, I mentioned that I'd also be looking for another copy of Doom and he sent me a brand new (sealed) boxed copy for free! For that completely selfless act of kindness, I'd like to thank eBayer retro_xtreme. 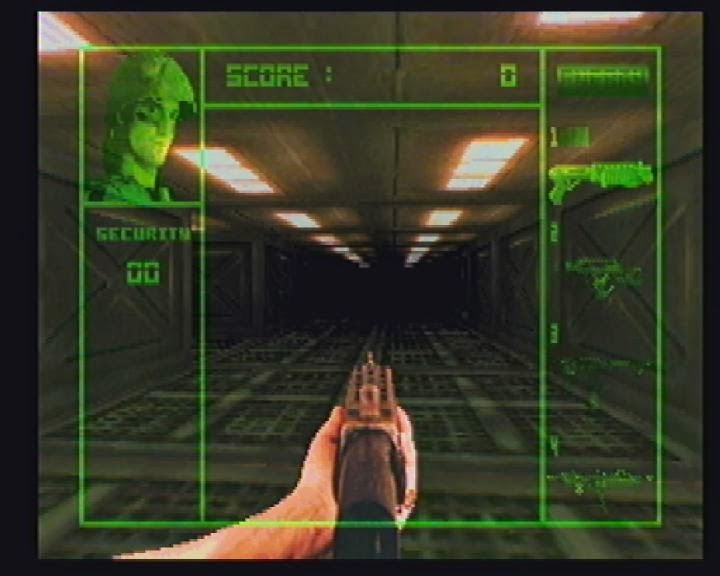 It's actually a little odd that, considering how much of a fan of the Doom series I am, I've never actually played the game in multiplayer; so it was quite apt that my first ever taste of co-op Doom came about using the Jaguar version. 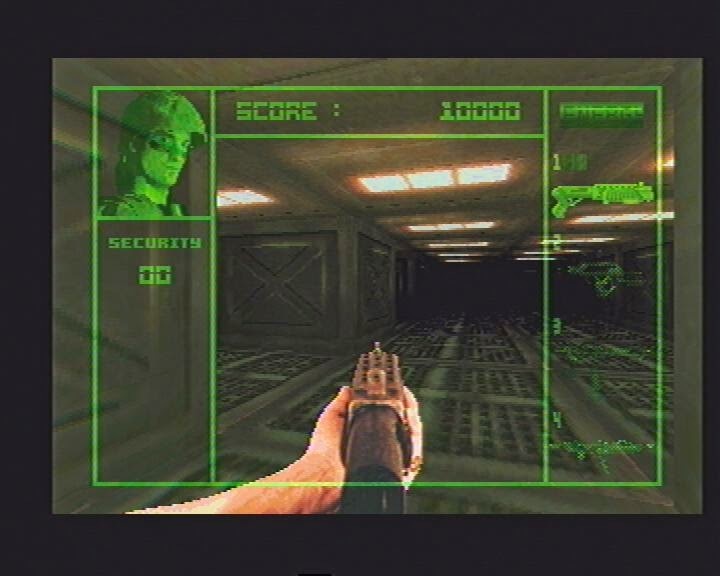 Many times over the years I've looked at that gameplay mode option in the menu of Jaguar Doom, and only now have I had the ability to actually select 'co-op' or 'deathmatch' and been able to jump into a game with a second player...and it really does add something extra to a game I thought I had seen every side of (actually, you can only see one side of pretty much everything in the sprite-based engine...but you know what I mean!). 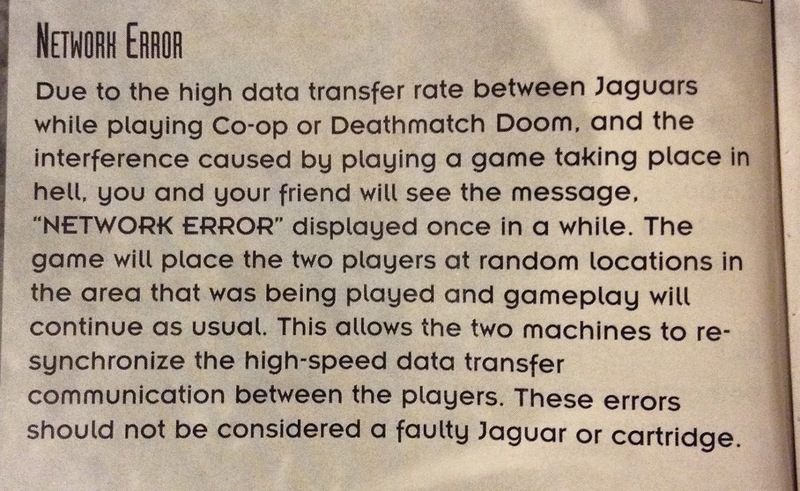 To be honest, I was really impressed with the speed at which the JagLink networked my two systems and there was none of the stuttering or freezing up mentioned in the Doom manual (see image below). The only issue I encountered was that my modded 60Hz system does occasionally freeze while running Doom for reasons unbeknown to me, and that's not really anything to do with the JagLink - it does it in single player too. Game-play experiences aside, the JagLink itself is a nice looking device. It comprises two network adaptor boxes that attach to the back of each system and a network cable that goes between the two. 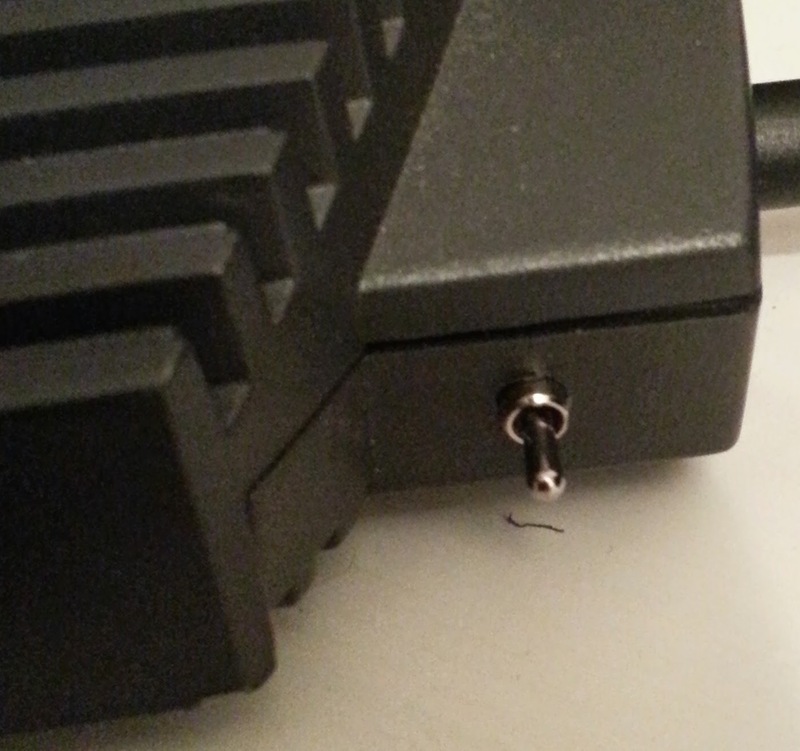 I do also have an unofficial network cable but I've not actually tried it to see if it works simply because the connectors on the ends of it are very wide and I can't connect the SCART and S-Video cables at the same time. 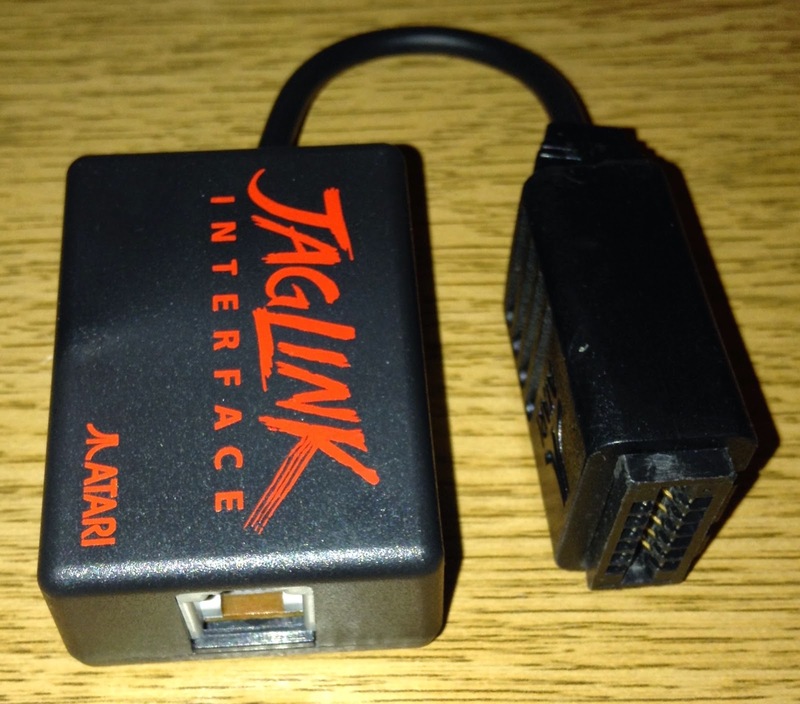 If it does indeed work, it makes me wonder why the official version of the JagLink has the little boxes...but I digress. It's a great little addition to my collection and that it's boxed and in really good condition is a massive bonus; and the free copy of Doom it came with only sweetened the deal. It's no secret that in recent times the cost of absolutely everything to do with retrogaming has gone through the roof. It wasn't too long ago that you could pick older games up for peanuts because they were considered junk by the vast majority. This trend has, until quite recently, not really been an issue for many Jaguar owners and collectors though. Certainly in my experience, the price of Jaguar games and consoles, while not exactly 'dirt cheap,' has remained fairly constant. Some games are almost universally cheap; while others such as Towers II, Iron Soldier 2, Fight For Life, Skyhammer, Gorf, and a couple of other CD-based and unreleased titles have always commanded 'premium' prices for whatever reason; and likewise with the Jaguar CD unit itself. Yep. £580 for a Jag and some games?! £300+ for a boxed one? Who are these people kidding? Now, I'm not one to try to detract from the price of my own collection, but from what these jokers are charging my own Jaguar hoard must be worth about £10,000! Not a chance. So, it seems that the rip-off merchants have finally discovered our little secret and this makes me both sad and angry. How long until we start seeing copies of Cybermorph changing hands for £50 a pop? Hopefully this will not happen, but it's a scary prospect. 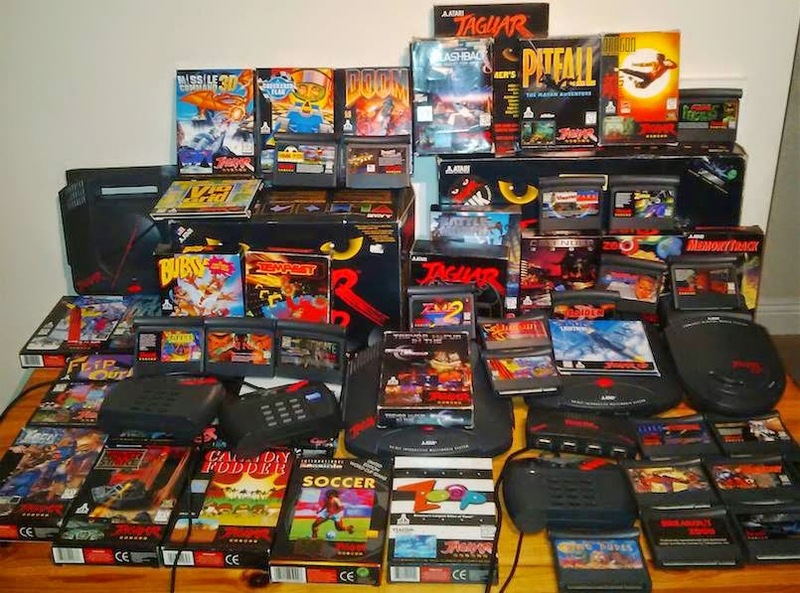 My own Jaguar collection, as of about a month ago. Behold The 60Hz Ultra Jag! There are three types of gamer in this world. There are the ones who just play games they enjoy, and don't really give a toss about stuff like borders and speed and PAL, NTSC and all the other guff that you can get wrapped up in. Then there are the others who like nothing more than discussing the intricacies of an RGB output or the slight differences in frame-rate between one version of a game and another. Then there are people like me who sort of straddle the two. 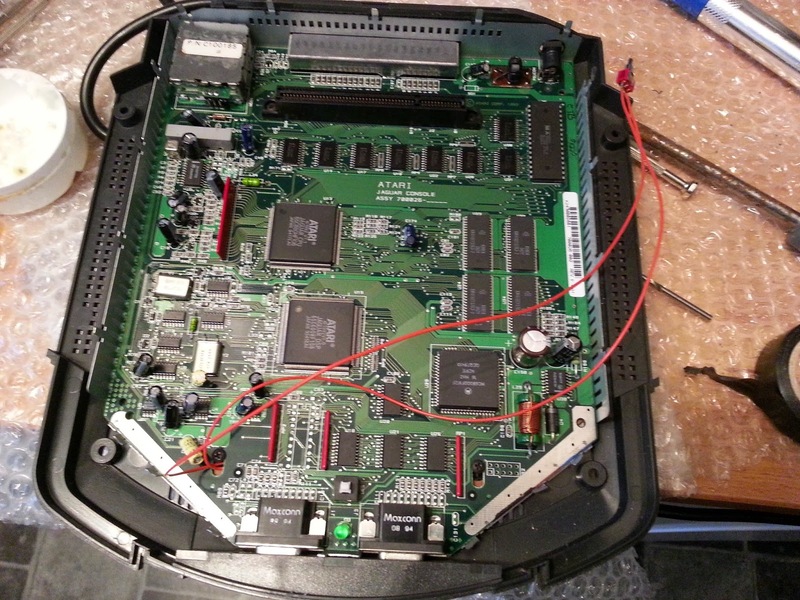 Sure - I play import games occasionally and I do sometimes dabble with a soldering iron and tinker with the innards of various systems...but to be totally honest, I can take or leave all that stuff. As far as I'm concerned, if a game can be played - I'll play it. This probably stems from just having PAL systems as a kid and not really having the means to investigate the 'superior' 60Hz stuff from exotic places like Japan and America. I had what I was given, and I was happy to play it. Ignorant? You bet. Did I have much of a choice? Nope! Anyway, what I'm trying to say is that the whole 'PAL stuff is crap' thing never really bothered me, and to my untrained eyes, the difference between 50Hz and 60Hz is something I'm just not arsed about. This is all very good, I'm sure you'll agree. But what about the actual differences this type of modification makes to the operation of the games themselves? 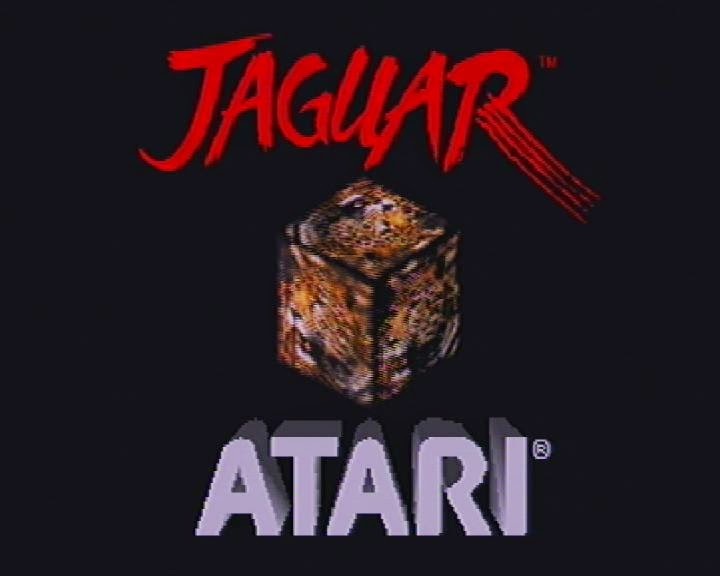 Well, I have to be honest here - I wasn't really expecting to see much of a difference because I had been informed that a lot of Jaguar games were programmed by European software houses and as such are optimised for the 50Hz console. And, for a lot of the games I have tried...I have to confirm that this is indeed the case. There are a couple of things that are instantly noticeable though, regardless of the game you're playing - the visible screen is noticeably bigger in 60Hz mode and the boot sequence does run slightly faster...but for the most part with a lot of carts, this is the only real difference. However, this isn't the case with every game. Oh no. Certain games are improved to the point that the increased speed makes them feel like totally different experiences. Games like Doom and Wolfenstein are examples of this, and Doom in particular moves so much more smoothly than the 50Hz version that it's actually quite stunning. Super Burnout too, feels a little quicker...if that's actually possible. There doesn't seem to be any particular rule at play here - some games benefit massively from the switch to 60Hz, while others (rather disappointingly) do not. One game that I thought might be sped up by the change is AvP...but alas the only difference on display is the increased real estate on the screen. This is probably more to do with the actual game engine than the frequency of the console, but I was hoping for more. That said, this is a really interesting subject and below is a selection of screen shots from various games that illustrate the increased play area if nothing else. All in all, I'm really impressed with the modification that Andrew performed and I pretty much exclusively use the 60Hz Jag now just because of the increased screen size on my TV. It's an operation that's well worth investigating and if you're interested in having this done yourself, drop us a message in the comments section and we'll get you sorted. 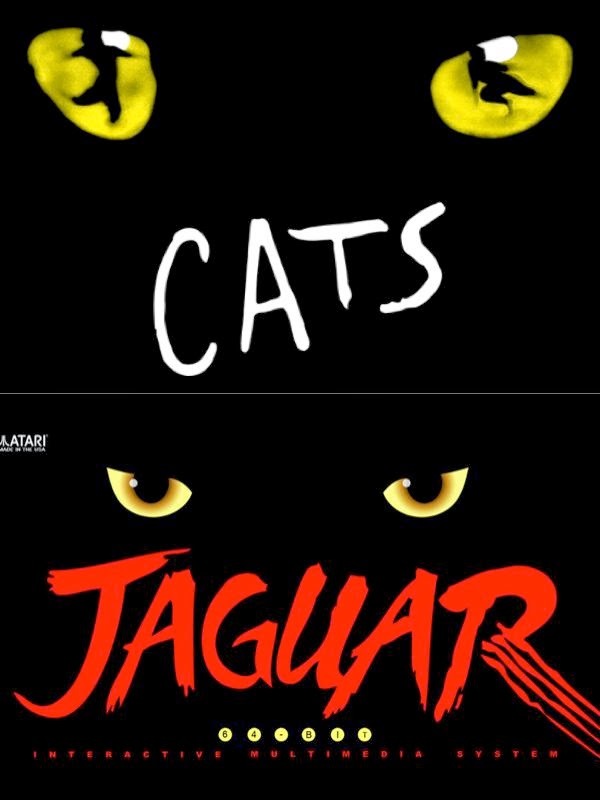 Or maybe my affection for the Jaguar has gone just a little bit too far. 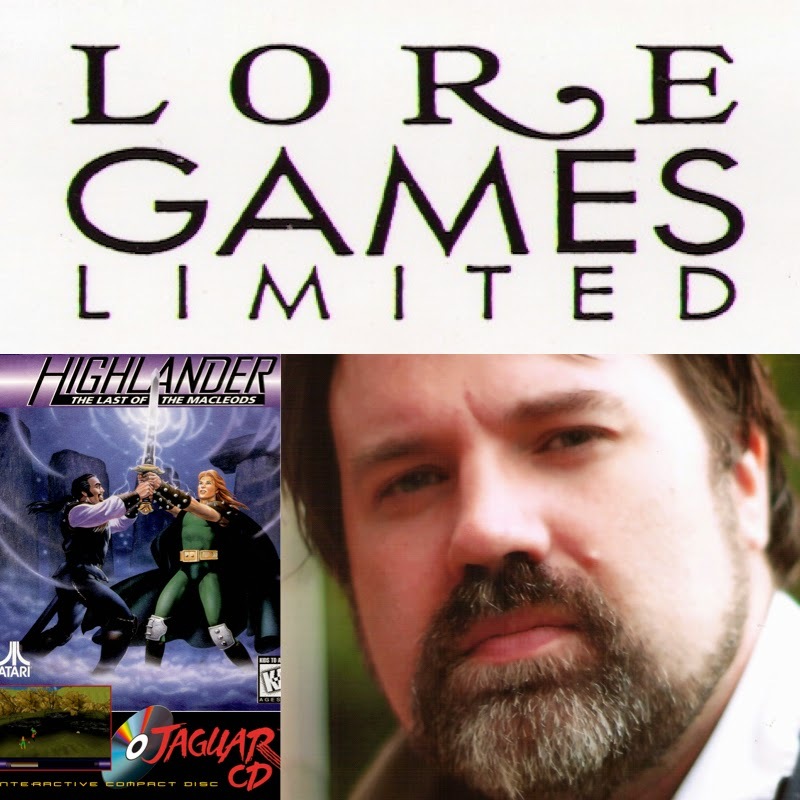 Lore Design was the company responsible for the production of Highlander: The Last Of The McLeods on the Jaguar CD. 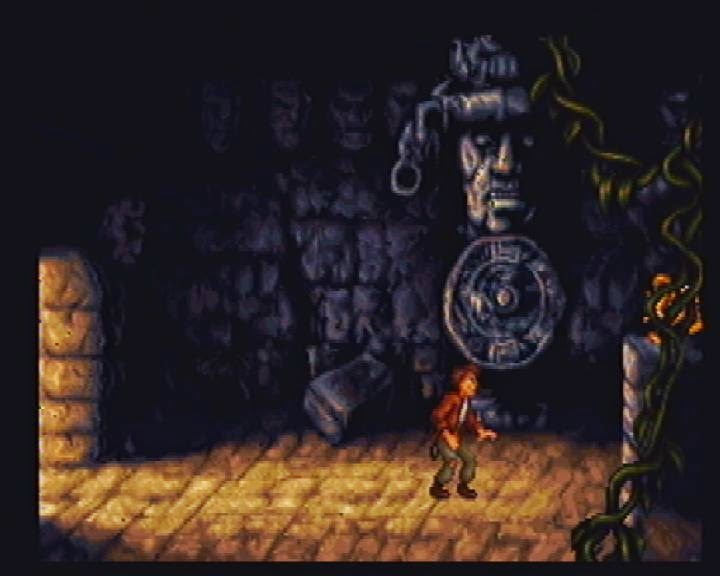 Released in October 1995 the game was an impressive Alone In The Dark style 3D adventure that used motion-captured characters along side 24-bit true colour backdrops. It was based on the Gaumont Multimedia animated TV series, that was in turn based on the film starring Christopher Lambert. A further two games were planned but never released. Here, freelance games journalist Kieren Hawken interviews Steve Mitchell, the owner of Lore Design and producer on all three Highlander games. What are the origins of Lore Design in the video game industry? The company was founded to do the Computer Moderated Play By Mail game Lore Lords of Britain, which ran for most of the life of the business. Whilst in a gap year I did the BBC Micro ports of the James Bond game License to Kill and Atari arcade game Return Of The Jedi for Domark with my college friend Chris Lowe. 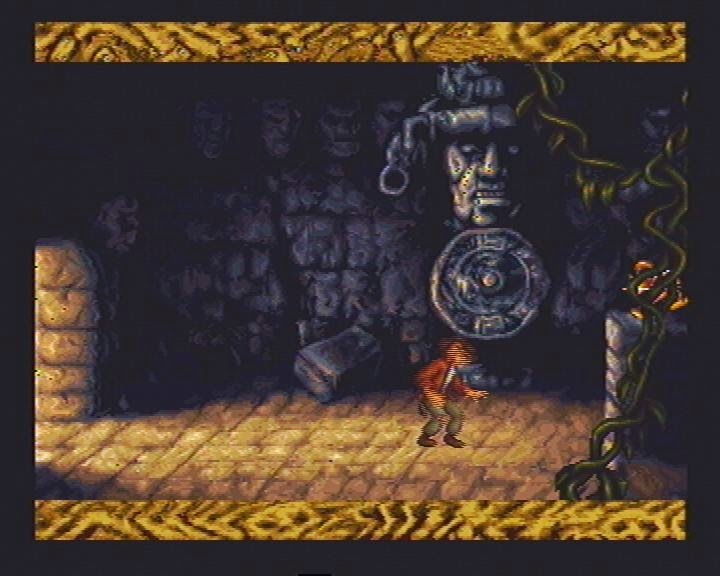 Around the time I graduated I completed Kung Food for the Atari Lynx with Paul Johnson, Tim Harper and Christian Urquhart (who is famous for being employed by Ocean Software in the 80s while still at school). Working with Christian taught me a lot about gameplay and Paul was an inspired artist who could script whole games himself and proved to be a good at business too. Can you tell us a little bit about how Highlander came about? 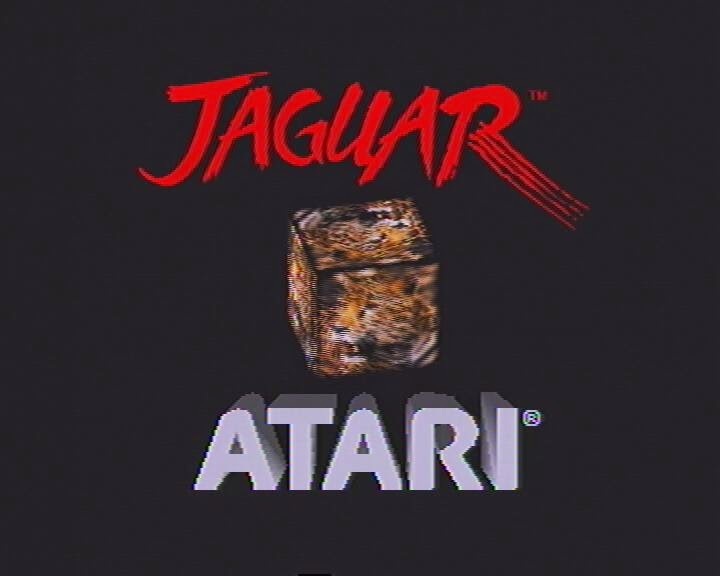 Atari licensed the Highlander animated series for a Jaguar CD game. 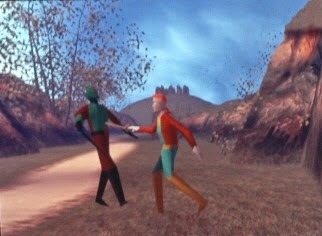 They picked Lore to develop it as we had completed several Lynx games and Dave Worton, who worked with me on some of them, had started working with 3D Studio on a pre-rendered Z buffered backdrop that allowed for the limited polygon characters that were needed for the Jaguar system and the Alone in The Dark style perspective that Atari had picked for the game. 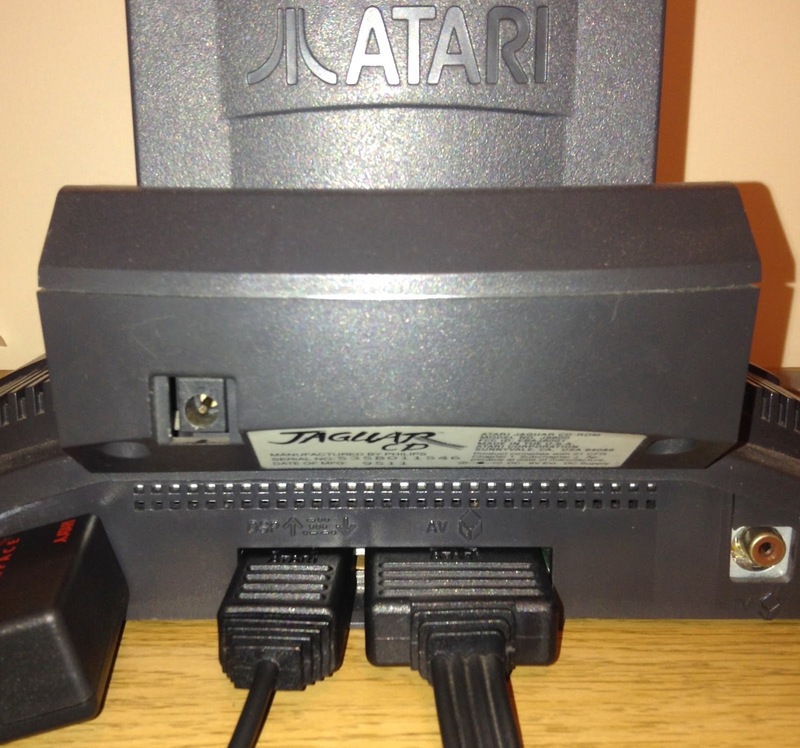 Atari also paid for state of the art motion capture studio to be built at our development studio. They paid for all the original voice actors to be flown over and provided footage from the cartoon series for us to use. 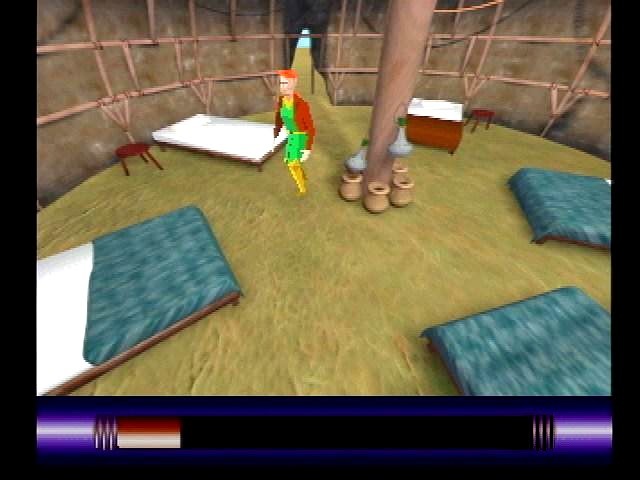 Sadly this was the last game completed by Lore as a dispute with the then Atari Corp on future titles resulted in the insolvency and ultimately the voluntary receivership of the business in around 1997. It has long been rumoured that both Highlander II and III were completed, what can you tell us about the sequels? There was a PC version of Highlander and the sequels were in production but unreleased, as they were licensed games and those licenses had expired. I can't imagine there being any official versions released however. 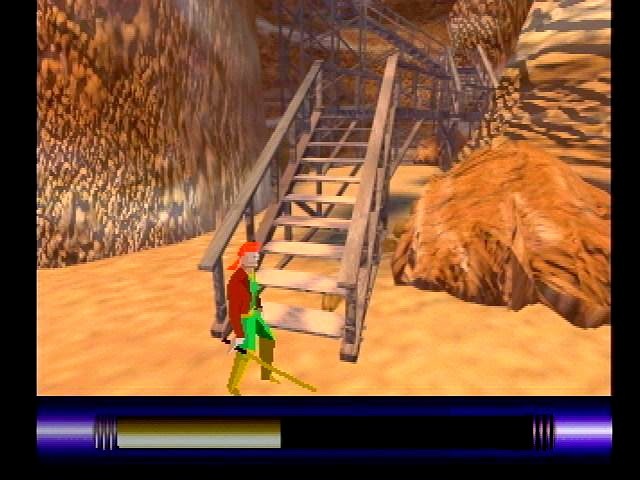 But it is not impossible that either from QA (testing), Atari or an ex-Lore member that something may be out there. So I can't squash the rumour, though I'd be very surprised if it was a final version. What was the Jaguar like to work with? Personally I much preferred the Lynx over the Jaguar for development. 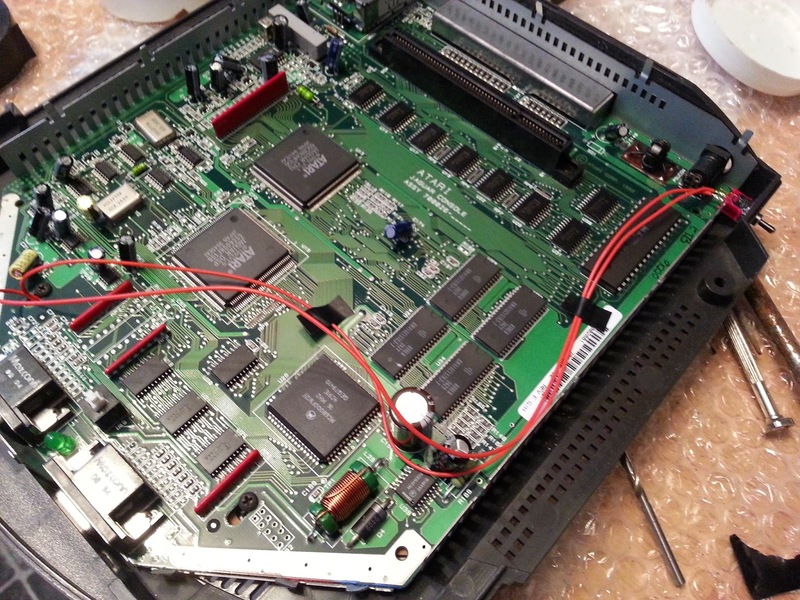 Generally cartridge consoles had not only RAM but also ROM to work from directly. Adding the CD meant reads had to be cached into your RAM instead of just sitting in the ROM making the CD system less potent that the straight cartridge system. The PlayStation was a much nicer console to develop for than the Jaguar with better tools, eight times more effective RAM and it could do basic texture mapping. 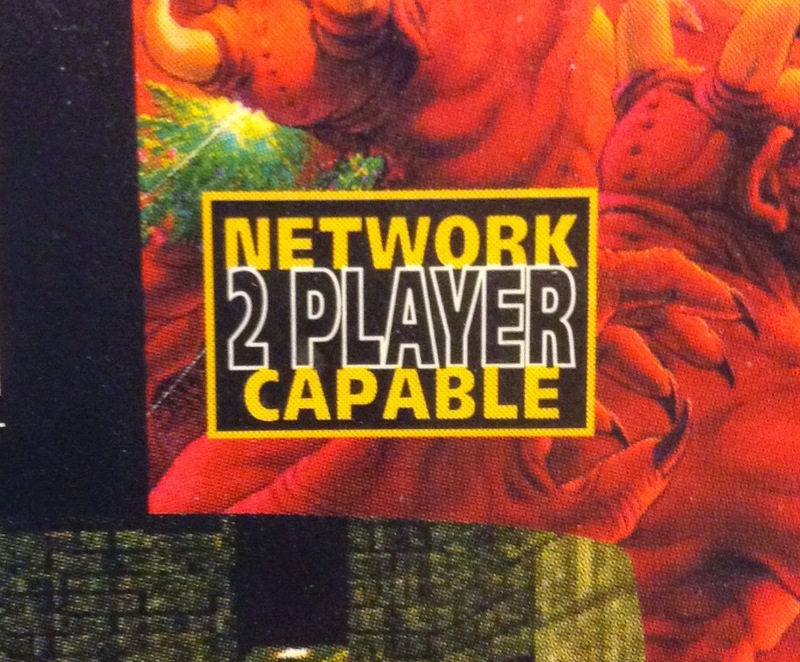 Despite the lack of experience they also offered excellent support, something Atari and the Jaguar didn’t have. What happened to the members of Lore Design and what have you all done since? 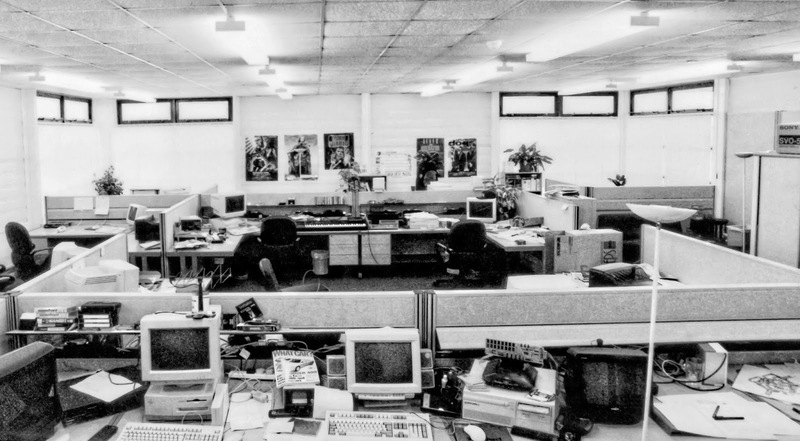 Many of the team stayed in the northwest and joined Magenta Software (who also worked on Highlander but still survive as a business to this day). Paul was a founder of Magenta and still runs it today developing console games for major publishers. I myself had just got married and started a family back in 96/97 and so left Lore and become Development Manager (Internal) at SCEE in London. Whilst I was there I produced Total NBA ‘97 and NBA Shootout ‘97 before returning north and starting Diamond Apple Ltd. I still run Diamond Apple today making games, accessories and other game technologies. I work with and see many of the people from the Lore period on a regular basis. For example our original producer on Highlander, who worked for Atari Corp at the time, is visiting the UK right now from the US. Some of the people on my team now were with me back at Lore or during my time at SCEE afterwards. Are there any funny stories you can tell us about your time at Lore Design? Whilst visiting Atari Corp in the mid 90s I was invited to a meal with Jeff Minter and some Atari QA guys, this was around the time Jeff was making the seminal Jaguar title Tempest 2000. Jeff had taken us to a curry house he'd found near the Sunnyvale Atari offices in the Bay Area at which he had persuaded the proprietors to serve vindaloo strength curry to the Atari employees. I distinctly recall him telling the testers, at some point before the meal, to "Put the Bog Roll in the Fridge..." or similar such words followed by a wry smile. Jeff's time in California was legendary amongst the Atari Corp team at the time but I can only confirm this one anecdote from personal experience. The curry was good! I do not know if the QA guys took his advice though! Do you have happy memories of your time as first party producer for Atari? I personally loved making Lynx games and would still code for it if I had a development kit! The Jaguar not so much! Interview by Kieren Hawken. Special thanks to Steve Mitchell. Read a full article on the history of Lore Design in issue 128 of Retro Gamer magazine.